Potter Cemetery is located in the Millcreek area of Lower Yoder Township. From PA Rt. 271, turn onto Meadow Drive (TR 697). About one mile back on the left side of the road, the cemetery is situated in a small group of trees. The township owns and maintains the plot. 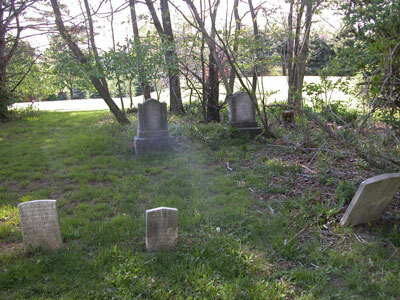 According to local residents, there are many more graves than there are headstones. This is evident from the many dips in the ground which shows unmarked graves. This road connects onto Fender Lane if continued on further.